No, I haven't fallen off of the face of the earth! Close though! We recently made the decision to homeschool and so that has been taking the bulk of my time. It's going well and I finally feel like I'm getting into the groove of things so hopefully I'll be back with a new release soon. Until then, here are a few announcements from ScrapMatters that you don't want to miss! 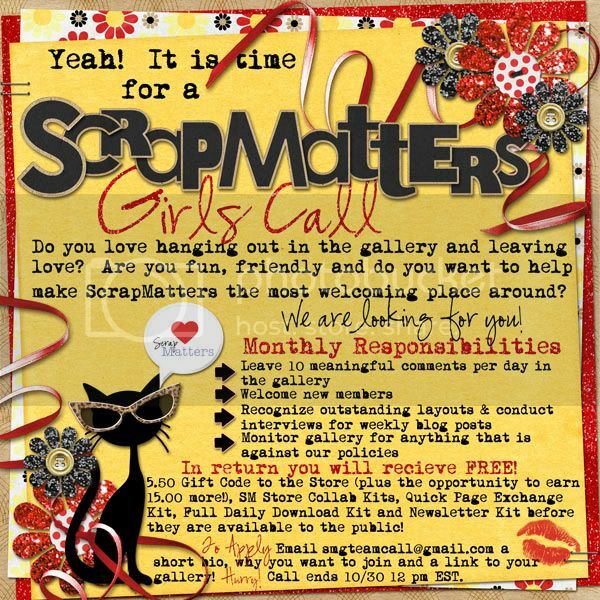 First up, the SMG (ScrapMatters Girls) Call. There's still time, not much but it's possible! 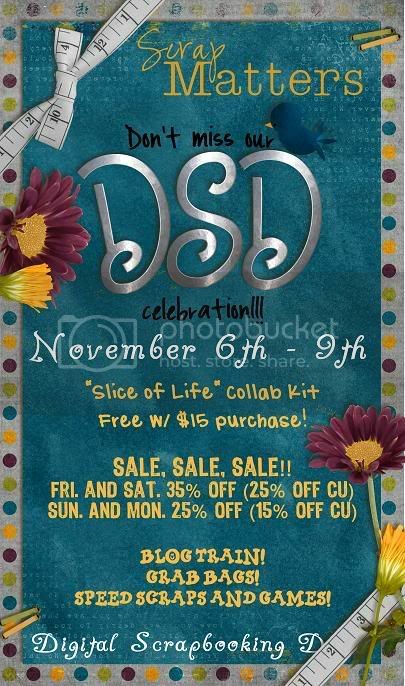 And an upcoming HUGE sale with an awesome free with purchase kit for Digital Scrapbook Day weekend! There will be lots of fun games with lots of cool prizes too!!! Hope you can join us for the fun! Alright, I've got to get to work so have a good one!